The launch plans I inherited were traditional in every sense of the word: lots of so-called "luxury" magazines, beauty picture, a "clever" line of copy. Spoke to potential buyers. 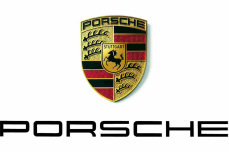 Most new Porsches are purchased by current Porsche owners. So we spoke to Porsche owners and determined that, over and above the Cayenne's SUV status, it was still a Porsche. Upended the entire media strategy. Our talks with Porsche owners gave us a very clear insight: they not only did not seriously read any of the so-called "luxury" magazines, but were heavily into the web for everything: news, information, white papers... moreover, this top 1% had the best and fastest computers and connections available in their countries. So we switched 100% of the print budget into interactive. Used our creative to do research. We created several web banners with different graphic and message approaches. We had banners with Porsche-logo headers, without logo headers; some banners opened with power, some with size, some with luxury; some of the cars we black, some were red; some banners were car+text only, some had illustrations... then based on the daily engagement reports, we fined tuned the creative until we came up with creative that exceeded all of the benchmarks we were working with. End result? By July 31st, we had met 75% of our unit goal.